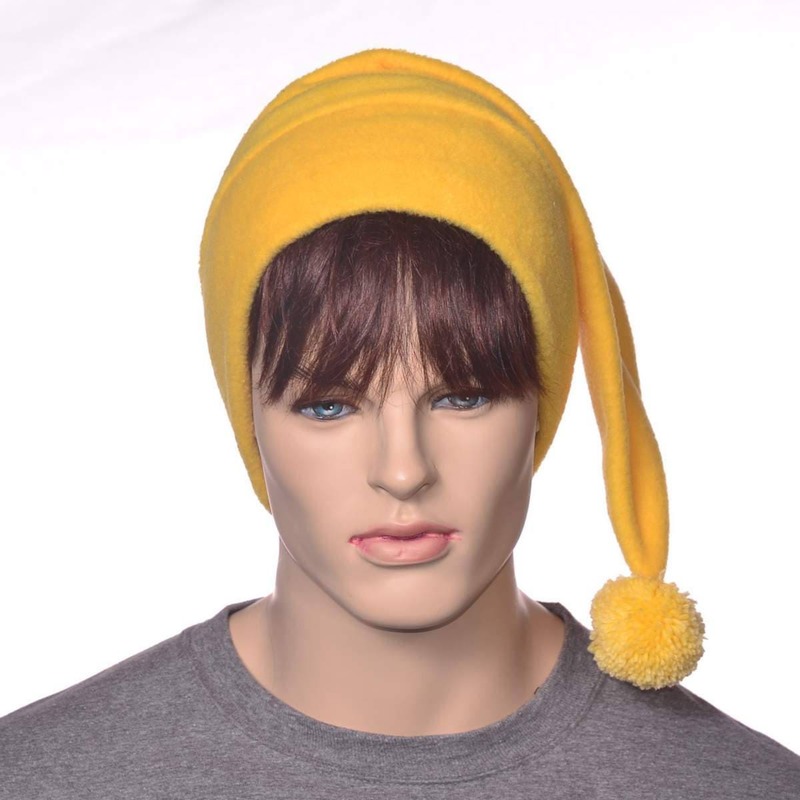 Bold bright yellow elf stocking cap made of fleece. Double thick headband. 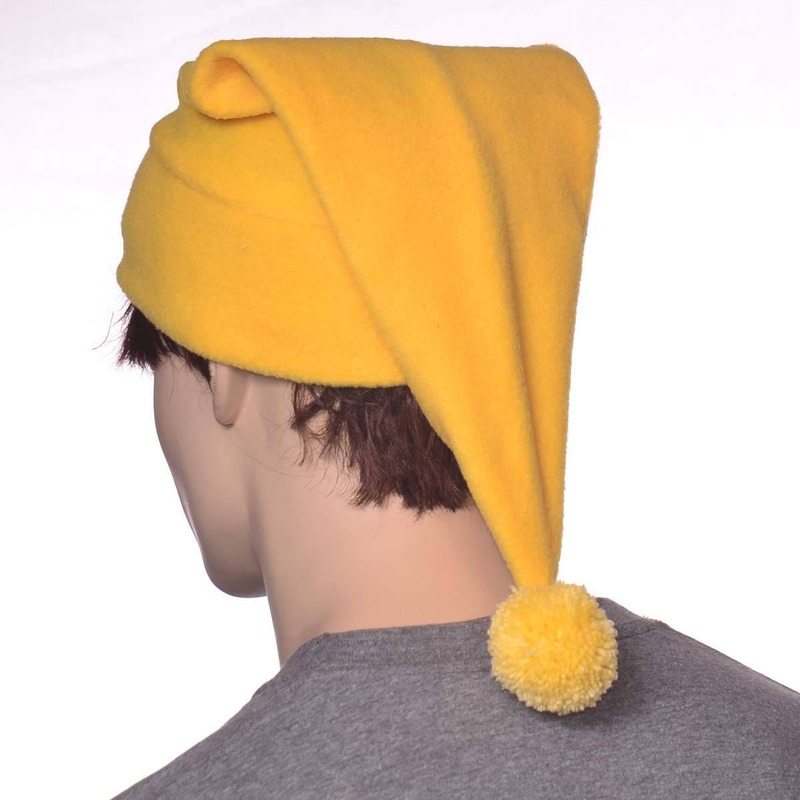 Yarn pompom on tip of point. 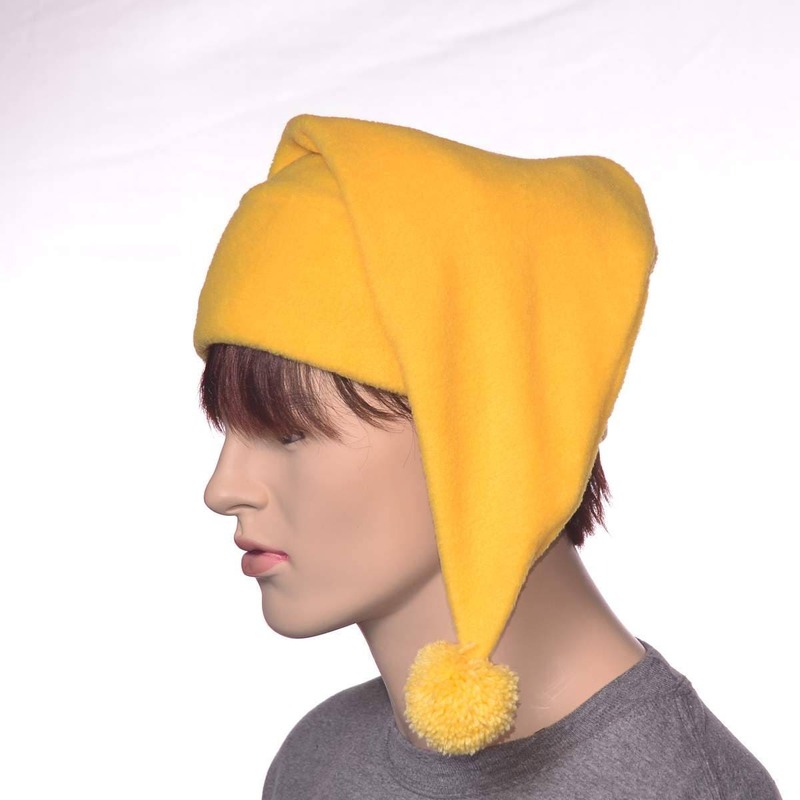 One size fits most fitting 22-24 inch head.